Older sections of the O’Keefe Rail Trail over the past 23 years have become a bit ‘battered and bruised’, not only from continual use yet also from harsh weather conditions. 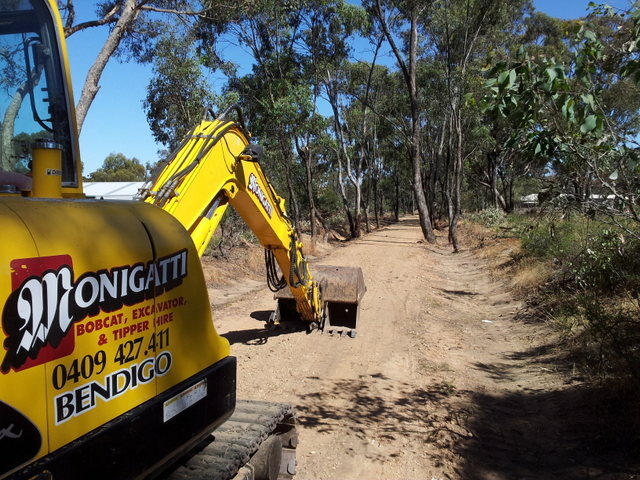 Trail manager, the City of Greater Bendigo Council in conjunction with the Friends of the Bendigo-Kilmore Rail Trail, regularly review the trail conditions to prioritise repair and upgrading work. Due to the past wet winter, with its high rainfall and stormwater run-off, this has expedited the need for certain repair work. During this winter period there was a collapse of the trail surface along a sewer main in the Junortoun area, which also extended into a section of trail bypass from the original railway alignment. For a final repair, it was decided to re align and fully reconstruct the trail onto the original railway alignment. With careful consideration to retain as much of the tree regrowth since the railway was dismantled as possible, construction has proceeded on this new section of trail. Trail users are asked to be patient in this area, while this work is being undertaken, with completion expected by 16 December.